Brand new energy efficient home ready NOW! Beautiful 2-story Yampa home with a welcoming front porch that invited family and friends to gather together. Kitchen is beautifully designed with white ice granite and a stunning infinity mosaic white backsplash. Master suite includes 5-piece master bath. Dual zone A / C and a full unfinished walkout basement are included. Offering both single family and paired homes, this wonderful community in Castle Pines has gorgeous views and access to open space. Castle Valley boasts three different family-friendly parks. 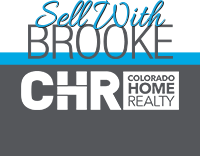 The community provides great access to DTC, Castle Rock and Colorado Springs.